Reports indicate that many stands have suffered significant winterkill. Now is the time to evaluate your fields and make plans to interseed where needed. If interseeding is required to ensure profitable yields, the next step is to understand options. For thinned stands of alfalfa, Barenbrug provides a number of excellent options. A good rule of thumb with alfalfa fields is that interseeding is justified when there are less than 4- 5 alfalfa plants per square foot. With grass fields, interseeding is warranted when dead spot average 2 – 3 square foot in size per 10 square foot area. If there are more dead spots than that or if dead spots are over 10 square foot in size scattered throughout the field then a complete re-seeding maybe warranted. No doubt this winter has been hard on forage. The good news is that producers with winterkilled fields have options, but to avoid significant yield loss producers need to implement a forage recovery plan quickly. Interseeding a stand thinned by winterkill is a good way to minimize yield loss this season and to open future marketing options. Barenbrug provides a number of high quality forage products that help producers who are facing winterkill challenges. 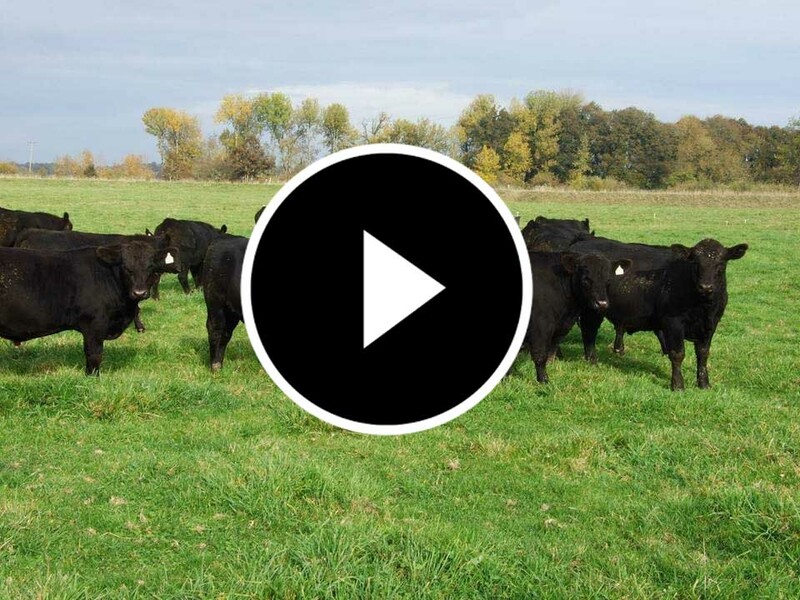 Green Spirit is the perfect high-quality emergency forage. A proven performer, Green Spirit has high seedling vigor, quick establishment and excellent forage quality combined with good yields. Interseeding a stand thinned by winterkill is an excellent way to minimize yield loss this season. The recommended seeding rate for inter-seeding Green Spirit into a thinning alfalfa stand is 15 lbs. per acre. We have added it to existing alfalfa, planted it as straight stands and added it to our triticale to improve quality and tonage. Green Spirit works very well in our nutrient management plan." If you’ve been thinking about converting an alfalfa hayfield to a mixed grass x alfalfa stand, perhaps to produce hay for the horse market, this year’s conditions may have provided the opportunity. If this is the case for you, planting Barenbrug’s HLR Orchardgrass is a great option. HLR Orchardgrass is a late-maturing, high-leaf-ratio Orchardgrass that was developed to work perfectly in this type of application. Recommended seeding rate of HLR interseeded into alfalfa is 10- 15 lbs per acre. Other options for thinned alfalfa stands include using one of Barenbrug’s perennial ryegrass mixes, either BG-24T or BG-34. Additionally, STF-43 a unique blend of soft leaf tall fescue would be an excellent option. All of these products will produce excellent yields of forage that also contain highly digestible fiber. Planting Moxie Teff grass is another option, but since it is a warm season annual grass planting shouldn’t take place until soil temperature have warmed significantly. This option provides a little more time to evaluate fields but also risks lower realized yields over the growing season.